The term “catastrophic injury” refers to cases in which the consequences of your injury permanently prevent you from performing any work duties and, therefore, prevent you from being gainfully employed. These types of injuries result in long-term, serious effects which could leave you with a permanent disability. Not only do catastrophic injuries result in physical, mental, and emotional problems, but they can put a serious strain on your finances as well as those of your family. If you are the victim of a catastrophic injury, you can seek compensation for any injuries which have resulted in a permanent, lifelong disability. Gregory Yates and Michael Shubeck, located in Rapid City, help catastrophic injury victims throughout the state of South Dakota receive all of the monetary damages to which they are entitled. With over 30 years of experience in the field of personal injury law, both Mr.Yates and Mr. Shubeck understand how life-changing a catastrophic injury can be and that you deserve to be compensated for pain and suffering, medical expenses, loss of income, and any additional expenses that you will have in the future. If you have been seriously injured in some type of accident, your focus should be on getting better. Securing the services of a good personal injury attorney such as Greg Yates or Michael Shubeck will allow you to do just that because they will handle all aspects of your claim and will deal with the insurance companies on your behalf. It is important for you to provide your attorney with as much information as it pertains to your case as possible. Gather all documents that have to do with your medical care including your diagnoses, treatment and any prescriptions that you have been or are taking. Also, keep a record of your out-of-pocket expenses along with copies all bills and payments. Document your lost wages. Provide copies to your attorney of police reports that contain details of your accident. In many cases of catastrophic injury, a negotiated settlement can be handled between the lawyers involved in the case. If not, a mediation or trial may be in order. If you or a family member have suffered a catastrophic injury that has left you paralyzed or suffering from severe brain trauma, for example, contact the Rapid City Law Offices to schedule a free consultation with attorney Greg Yates or Michael Shubeck. Personal injury attorneys work on a contingency basis which means that fees are paid if and when a settlement is reached. 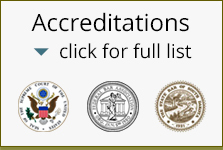 Call today to see how the award-winning attorneys at Rapid City Law can help.